Zo. Ve ah heyah to talk about your prrrrrroblems, ya? Vy don't you zit down on ze couch und ve vill zee vut is wrong, ya? Good. Zo, how long have you felt you vere a sourkrout? 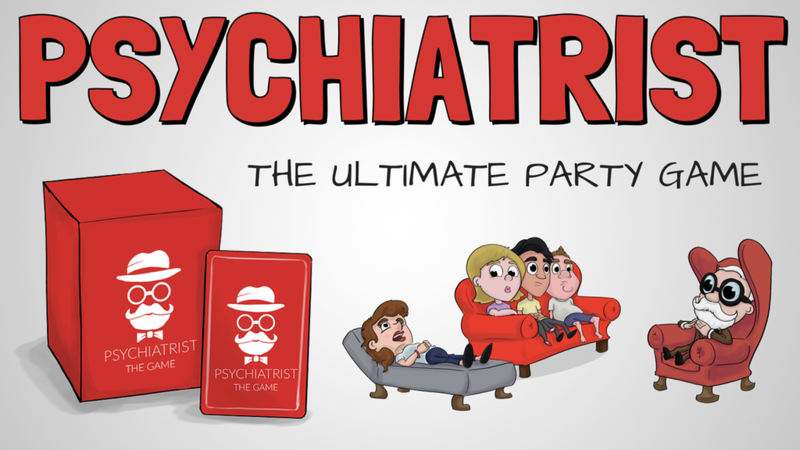 Ok, so you don't have to use a bad German accent when you play Psychiatrist, the new party card game up on Kickstarter, but it couldn't hurt. The game is a spin on Charades. Instead of one person acting out something, the Psychiatrist player must guess the symptoms of the group. To play, the Psychiatrist steps aside for a minute while the rest draw one of the cards from the deck that lists two symptoms on it. The Psychiatrist then comes back and asks the players various questions, trying to figure out what, exactly, is wrong with them. If they guess right, they win! If not, well... just remember that asylums aren't really a nice place to end up. The campaign's closing in on 2/3 funded with still 29 days left to go.